Victor Popkov Exhibition opens at the Ca’ Foscari In Venice before heading for London. 40 works of the Russian artist Viktor Popkov (1932-1974) have gone on display at the University Ca’Foscari in Venice until April 27th, 2014. The new exhibition “Dream and Reality“ examines the most significant works of the famous Russian painter, through themes such as life, fate and death. Viktor Popkov became one the most influential Russian artists of the 60s, developing a particular type of metaphorical picture that combines accurate observation of life with allegories and dramatic generalizations. 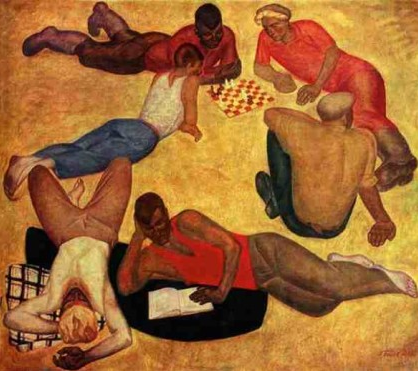 The artist was a pioneer of the so-called “Severe” style, which depicted solemn moments in life and was a reaction against the cheerful themes of Socialist Realism. Popkov and his group which included Geli Korzhev, Tair Salakhov and Nikolai Andronov, felt a more sober subject matter better refected the grim austerity of Post WWII Soviet Russia. The concept of the austere style was to depict situations without intensity, very close to reality. The artists went to factories and other enterprises and tried to portray people and situations without exaggeration. The majority of Popkov works are dedicated to elements taken from Russian culture. His last large painting, Babka Anis’ya was a Good Person (1973; Moscow, Tret’yakov Gal. ), depicts a country funeral, and represents an epic scope, a modern iconographic analogue of Gustave Courbet’s Burial at Ornans. Six months before Viktor Popkov died there had been numerous attacks on cash messengers in Russia. The Interior Ministry issued an order to use firearms in the event of danger. Popkov and his artist friends were trying to catch a cab one day when the artist, probably unknowingly approached a cash delivery car. He opened the door and asked for a lift. He was shot, the driver having mistaken him for a robber. Natalya Alexdrovna, curator of the second half of the 20th Century at the Tretyakov Gallery, at the opening at the Ca’ Foscari, Venice. Despite his short life Popkov won numerous prizes including the Grand Prix at the World Biennale in Paris in 1967. Today, his works are owned by leading Russian museums including the State Tretyakov Gallery and the Russian Museum. His works have been exhibited in the Solomon R. Guggenheim Museum in New York (2004) and in Palazzo delle Esposizioni in Rome, (2011). 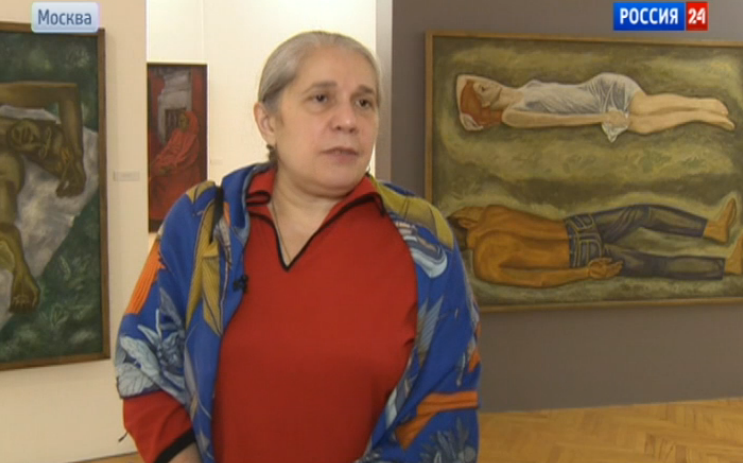 The exhibition in Venice, ‘Dream and Reality’ is the first retrospective of the famous Russian artist in Europe. The event is organized with the assistance of the Center of Museum Exhibitions of the Russian Federation, Tretyakov Gallery in Moscow, the State Russian Museum in St. Petersburg and the Center for Studies in the Arts of Russia at Ca ‘ Foscari. After Venice, the exhibition will travel to the Somerset House in London where it will be display 22 May to 24 June.